Every day in Copenhagen, people pass by history and don’t take any notice. Busy commuters pour in and out of buses and S-trains, ignoring statues, plaques and palaces in the rush to get to work by eight and home again by four. History, though vital to some and interesting trivia to others, has an unimportant role in most of our daily lives. But it might surprise some commuters, especially those using Vanløse Station every morning and evening, that the history they are walking past isn’t only that of princes and kings. It is something much closer to our contemporary hearts: rock ‘n’ roll. For what the average Vanløse commuter doesn’t know is that the 30 odd steps he or she climbs up and down each day to get to the S-train platform have been paid homage to by none other than Van Morrison. And if this fact is surprising, what is surely more surprising is that 36 years ago the Northern Irish singer and songwriter lived in the neighbourhood. That’s right, the writer and singer of ‘Gloria’ and ‘Brown Eyed Girl’ was a resident of the Copenhagen district for three years. Morrison first came to Copenhagen in the late 1970s with his Danish girlfriend, Ulaa Munch. Munch had been working as a concert promoter for Arne Worsøe’s company, ICO. It was through ICO the couple first met, and soon they moved together to the United States, then Ireland, and eventually in 1980 to an apartment in Vanløse. Morrison was 35 years old. It shouldn’t be surprising that few knew or know about the singer’s presence in Denmark. As any fan of Morrison’s would tell you, anonymity was probably what he wanted. For years Morrison has remained remote from the public and the media. Unlike many of his contemporaries in rock ‘n’ roll, he has always been elusive and private. Generally refusing interviews, the few times Morrison has been willing to talk, he has preferred to downplay his own abilities. “Bach and Mozart, they are geniuses. I’m not,” he is fond of saying. Still, listening to his recordings, this seems hard to believe. Although he has changed his style over the years, mixing jazz and blues, or blues and country, he has never failed to create a sophisticated sound. He is a man who is aware of the tradition of both music and literature. The lyrics of his songs are much closer to the poems of Frederico Garcica Lorca and John Donne than they are to the writing of Jagger and Richards or Lennon and McCartney for example. On any one of his albums, Morrison with his gravelly soulful voice sounds more like a ballad singer from an earlier century than he does a contemporary rock singer. Still, the artist remains distant from the public. And in Copenhagen, this distancing carried over into his general appearance. 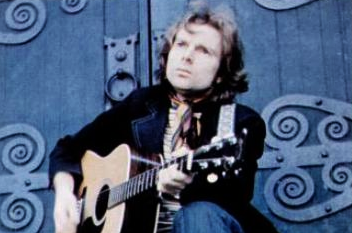 By most accounts encountering Van Morrison on the streets of Copenhagen was merely to see an odd, heavy-faced man staring from under a black wide-brimmed hat. At least this was how the owner of Superlove on Larsbjørnsstræde described Morrison, who sojourned monthly into the Copenhagen record store, to buy the latest issue of Rolling Stone magazine. As for his time in Denmark, Morrison used his time productively. In 1982, his album ‘Beautiful Vision’ was released, and on it was a track entitled ‘Vanløse Stairway’. In addition to this work, he also played regularly with the Denmark Radio Big Band (DRBB). This relationship with DRBB is one that Morrison has continued to nurture. Though he and Ulla split up long ago and he left Denmark in 1983, Morrison has returned regularly. In 1995 he played a concert with the DRBB in Elsinore and over the years has made numerous other smaller appearances throughout the country. Judging by the music Morrison produced during his stay here – especially ‘Scandinavia’ and ‘Beautiful Vision’ – it seems to have been a positive time for the artist. Those who want to go hunting for plaques that commemorate the artist’s stay here will be hard-pressed to find any in Vanløse, but should you be passing through Middlefart on the island of Fyn you can find the singer’s palm print pressed into the cement at EA Isenkram. But probably a better and more fulfilling way to experience Morrison’s presence in Denmark is to listen to the song ‘Vanløse Stairway’. Mid-March Music: There's only one Van the Man!